The FIU Model United Nations (UN) team has taken the fourth spot in BestDelegate.com‘s annual rankings. The team moved up one spot from last year’s fifth place ranking, and continues to be the highest ranked team in Florida and the highest ranked team from a public university. The University of Chicago, Georgetown University and Harvard University took the top three spots respectively. 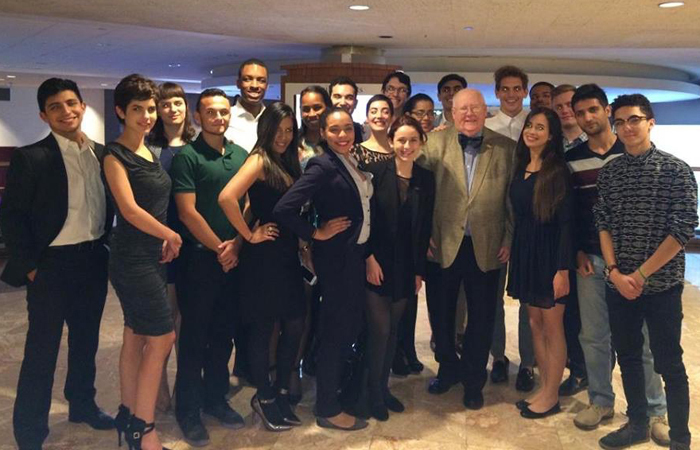 FIU’s Model UN team took “Outstanding Large Delegation” at the Harvard National Model United Nations in February 2015. The FIU Model UN team had impressive showings at National Collegiate Security Conference, where they tied with West Point for third overall delegation points; University of North Carolina Model United Nations Conference, where they won Outstanding Large Delegation; and Columbia Model United Nations in New York, where they won Best Small Delegation. In addition, they finished top four overall at University of Pennsylvania Model United Nations Conference, and defended their Outstanding Large Delegation award at Harvard National Model United Nations. FIU Model UN is a political science course that provides an interactive environment engrossing students in different aspects of political and international affairs. It is supported by the College of Arts & Sciences, the Green School and Student Government Association.